We have discussed the basics of non-competition agreements (“non-competes”) in Massachusetts, particularly the need to have reasonable restrictions supporting a “legitimate business interest.” Non-competes often include additional restrictions, such as non-solicitation and nondisclosure clauses. Beyond that, non-competes usually contain several provisions commonly found in legal documents. This post is the first in a series covering terms commonly found in non-competes. Every contract must include “consideration,” and non-competes are no exception. “Consideration” is the benefit that each side receives from a contract. Without valid consideration for each party to a contract, the contract will not be enforceable. In the employment context, it is very common for employers to have employees sign non-competes when they are hired. In Massachusetts, a job offer is valid consideration for an employee entering a non-compete agreement: the employee receives a job offer, while the employer receives the employee’s willingness to agree not to compete with the employer. Thus, employers are wise to have employees sign any restrictive contracts when the employee is hired. However, sometimes non-competes are not signed when the employee is hired. If employment has already begun, an employer has two options. One option is use “continued employment” as consideration. The Massachusetts Appeals Court has held that continued employment is valid consideration (Wilkinson v. QCC, Inc., 53 Mass. App. Ct. 1109 (2001)), which is consistent with other jurisdictions, but the Supreme Judicial Court has not addressed the issue. For any employers concerned that a future court may find continued employment to be insufficient (and to oppose an employee’s argument that the agreement was only signed under duress), employers should consider offering additional consideration: a raise, a promotion, a bonus, more vacation time, and the like, along with continued employment. Although consideration often seems like an obvious part of any contract, it is vitally important. Any effective litigator will pick apart a contract to argue that adequate consideration was not provided, rendering the contract unenforceable. Consideration should be specifically discussed in the contract and actually provided to the employee (in other words, do not promise what you cannot deliver). While a job offer is valid consideration, if the employee’s job substantially changes, the non-compete may not be valid. This is based on a legal concept called “material change.” The argument is that if the employee’s new job is so different from the job that they were hired to do (and the job that served as consideration to sign the non-compete), consideration is no longer present and thus the non-compete is unenforceable. Massachusetts courts are divided on the issue, with some holding that only a reduction in the employee’s pay is a sufficient change to void the non-compete. Other courts have found that if an employee is promoted and given new responsibilities, a non-compete signed when first employed is likely unenforceable. As is often the case, the enforceability of a non-compete can be a fact-intensive endeavor. Both employers and employees should consult with an experienced Massachusetts employment attorney to determine their rights and options. 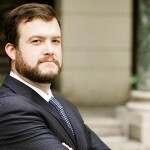 Mr. Scott was a founding partner of the firm and currently serves as Of Counsel. His practice focuses on employment law, representing both employers and employees, and corporate law, representing businesses from start-ups through established companies. This entry was posted in Business, Employment and tagged business, employment, Massachusetts employment law, Massachusetts noncompete on March 1, 2016 by Jordan Scott.